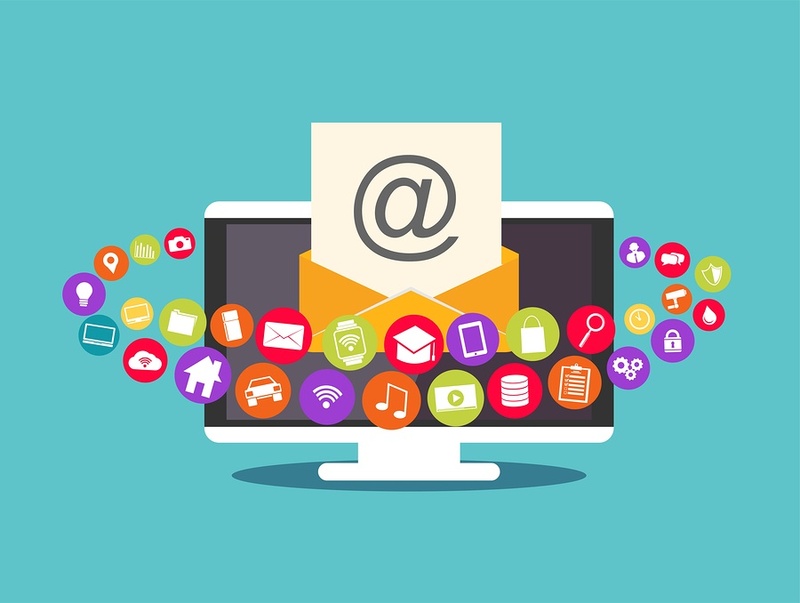 Email marketing is an essential piece of your toolkit for your Inbound Marketing strategy. Email is one of the main forms of daily communication for people everywhere and can be used to reach your ideal customer at every stage of their buyer’s journey. The key to using email marketing successfully for your Inbound Marketing strategy is to know exactly what your ideal customer needs to hear and when they need to hear it. All these uses and more make email marketing a key component of your Inbound Marketing strategy. However, like any piece of your inbound marketing toolkit, emails must be one piece of your overall strategy based on a buyer persona used to create your ideal customer (or customers). Once you have created your buyer persona, you will know exactly who your content needs to reach. You will also know what these people are looking for through each stage of their buyer’s journey. After you have determined this, you can then begin to develop an email marketing campaign. The first step to an email marketing campaign is having a list of subscribers to actually send your marketing materials to. This is important because these people are a group of individuals who have indicated they are interested in your company and your information. This list is invaluable to you as a marketer. By taking steps to not only develop and grow an initial list, but also keep these subscribers interested in your content, you will have a great audience base for the beginning of your email marketing campaigns. 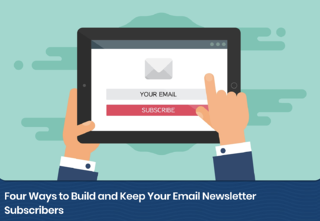 Learn more about how to build and keep an email subscription list here. Why Do I Need Different Lists for Different Emails? Once you have developed a strong mailing list, you can then begin to segment your list based on the actual customer. These lists could be based on where they are in the buyer’s journey, who their buyer persona is, what their industry is, their location, and more. The possibilities for lists are endless when it comes to email marketing. By creating these lists, you ensure that the best content is going to the people who will be most interested in it. You lower your risk of losing subscribers since people will be getting content that is relevant to them and you raise your chances of increasing your open rates, click through rates, and conversions. 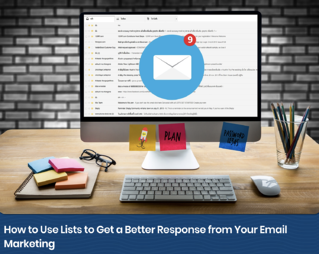 Learn more about how to use lists as a part of your email marketing campaign here. How Does Personalization Help My Emails? After you have created lists to ensure that the right people are getting the right content, make your content even more personal. 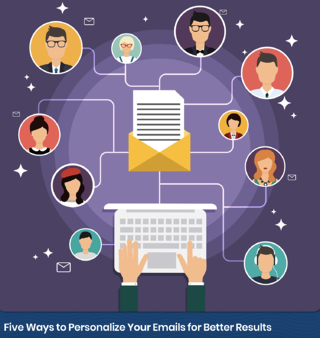 Studies show that personalized emails have an increased open rate of 6.2%. Personalized emails stand out in crowded inboxes and allow your customers to see you and your store as a person, not a robot. Personalization can be as simple as adding their first name to the subject or salutation line of an email or sending them purchase suggestions based on past transactions in your store. Learn more about ways to use personalization in your email marketing campaigns here. How Do I Get Leads to Open and Click My Emails? Once you have determined which information to send to which contacts and personalized the emails for each contact, you must then focus on ensuring your leads and customers not only open, but also click on your email content. While open rates are good, click through rates are even better for measuring if your content is resonating correctly with your intended audience. The best way to ensure your contacts click on your emails is to create each email with a goal that matches the goal of your overall email campaign. These goals will steer you towards providing content people are interested in click on and learning about. 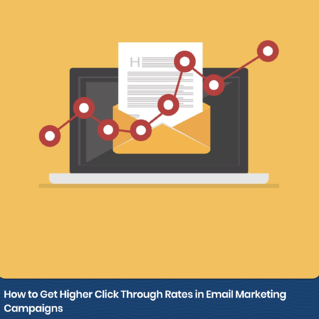 Learn more about how to achieve higher click through rates in your emails here. Why Are Emails Important for Lead Generation? Emails are not only important for current prospects and customers, but also for generating new leads. One of the best ways to do this is through a nurturing campaign. This is a series of targeted emails that continually provides more and more advanced information. The goal of these campaigns is to progress your contact from visitor to lead to customer by using the inbound marketing methodology. As you continue to send your contact more and more targeted information, they will move further down the buyer’s journey towards becoming a customer. 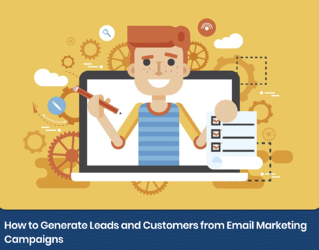 Learn more about generating new leads with an email campaign here. My Customers Aren’t Reading My Emails; How Do I Fix This? Sometimes you can follow all the right steps and create what you believe is the perfect campaign and your contacts still won’t bite. Creating emails that your customers will actually open, read, and respond to takes a good amount of research and work. The best way to create emails of interest is to truly develop a well-thought-out buyer persona for your ideal customer. This will allow you to determine exactly what they need at each stage of their purchasing journey. Once you do this, you will be able to come up with clear and creative ways to distribute your content through email. 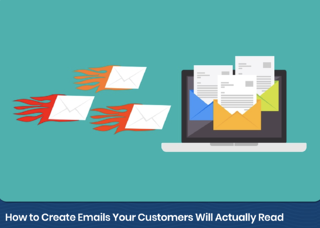 Learn more about creating emails your customers will actually read here. Email marketing, like any other form of marketing, takes time and research to pull off successfully. However, if you can distribute the right content to the right contact at the right stage in their purchasing journey, you will be able to successfully integrate email marketing campaigns as a key part of your overall Inbound Marketing strategy.